A Paso Robles man who had a warrant out for his arrest led officers on a chase Monday evening from Atascadero to Monterey County and back into San Luis Obispo County. The approximately hour-long pursuit ended on Highway 46 east of Paso Robles. At 7:03 p.m., SLO County sheriff’s deputies tried to stop a vehicle for an equipment violation on northbound Highway 101 at Del Rio Road in Atascadero. The driver, 40-year-old James Roy Bigrigg, did not yield to red lights and a siren, and a pursuit began. Deputies called off their pursuit after about two minutes and turned the chase over to the California Highway Patrol. After Bigrigg crossed into Monterey County, a CHP unit tried to conduct a traffic stop. Bigrigg did not stop, and Monterey County CHP officers began pursuing his vehicle. Shortly afterwards, Bigrigg turned around and headed back into San Luis Obispo County. Bigrigg then merged onto Highway 46 East. CHP officers deployed a spike strip, and Bigrigg drove over it near Genesco Road. The spike strip disabled all of Bigrigg’s tires, bringing the chase to an end. Authorities arrested Bigrigg and booked him in San Luis Obispo County Jail. Deputies charged Bigrigg with failure to yield, driving on a license suspended for DUI, possession of drug paraphernalia and having a warrant out for his arrest. The CHP also plans to charge him with failing to yield. 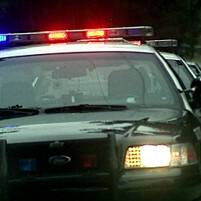 A 44-year-old San Miguel woman was traveling in the vehicle with Bigrigg. She was not charged. Bigrigg remains in jail with his bail set at $5,000. Was Bigrigg driving a truck? Which humorless curmudgeon voted thumbs down on this? Booooo…..